A major part of my PC experience is linked to Ubuntu. I’d always have Ubuntu installed on the machines I work on. No marks for guess that I am still using Linux and posting from inside it. Well in a way I am also a Linux evangelist; Sometimes even the office machines would secretly taste the flavor of Linux, thanks to the Boot from USB. Almost all my friends have Ubuntu installed (yeah coz of me) and I’d SSH to their machines and play songs etc remotely and things get all funny and haunting initially. I just love it. 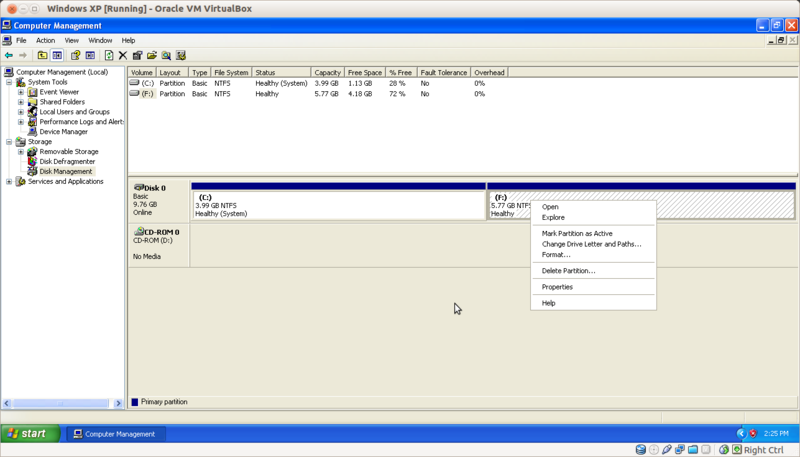 Anyway there was this Virtual Disk File (VMDK of VMWare fame) that I created under VMWare and now it can even be used from VirtualBox (good stuff). So I booted inside it and it was running low on disk. I couldn’t install MS Office on it. So I figured it was time to RESIZE the disk. — here we are re-sizing it to 10Gb. Now that we have a new vdi. 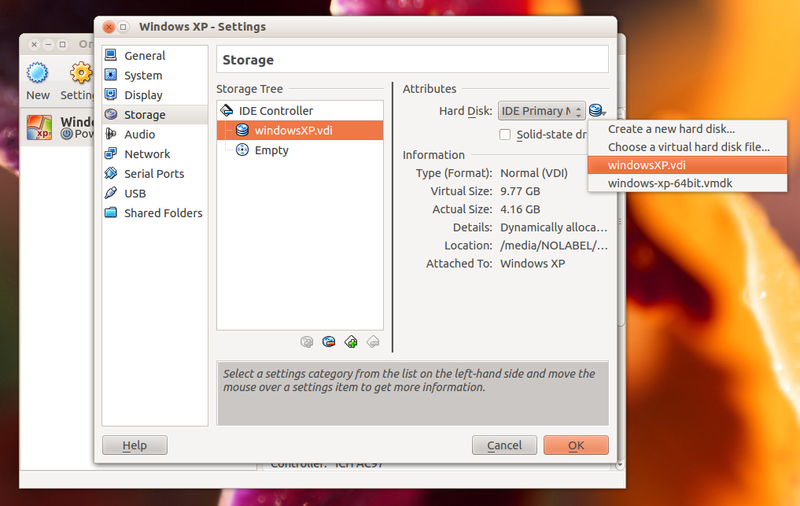 Simply change the settings in the VirtualBox and use the new VDI. Now, after we booted in the brand new OS, we have two options. A) Use GParted to resize the partition (expand it). — download GParted ISO; And boot with that ISO instead of the VDI and resize the C Drive. Next reboot in the VDI and we are done! B) Use Windows Disk Management Wizard and create a new partition with the recently inherited storage. clonehd only the last snapshot. In the GUI (on Windows), select the VM, select Snapshots from the top right, right click on the snapshot you want, select Clone…, and select Full Clone in the dialog.